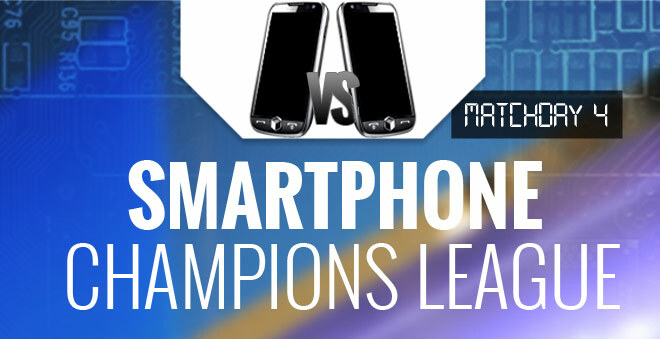 Round 1 of the Smartphone Champions League is now complete and we now know what smartphones will be taking part in the Round of 16. The last matchday of the first round turned out to be pretty uneventful with all handsets that managed to secure an early lead holding on to it until the end. 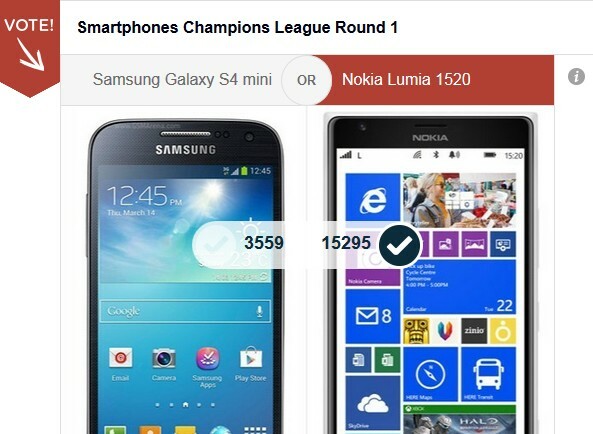 The Lumia 1520 brought yet another great result for Nokia, destroying the Galaxy S4 mini in what was the most voted on encounter of the day. 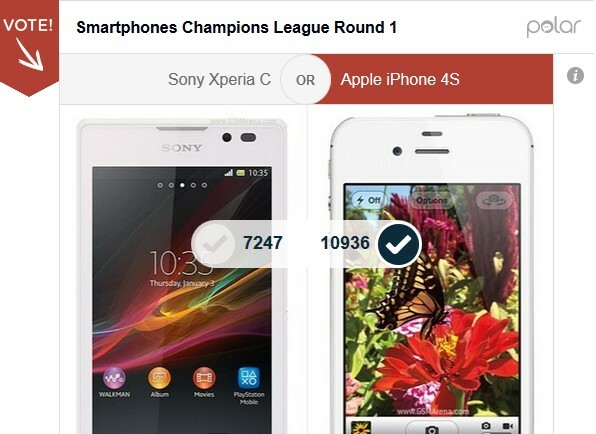 The Apple iPhone 4S gave Sony its solitary loss in the first round, beating the Xperia C for a spot in the Round of 16. 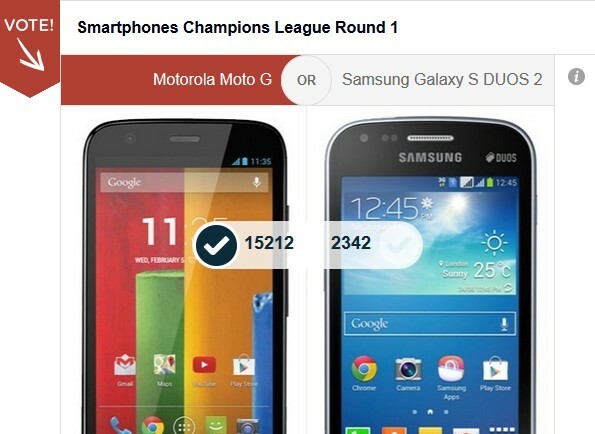 The Motorola Moto G smashed the Samsung Galaxy S DUOS 2 in another one-sided game. 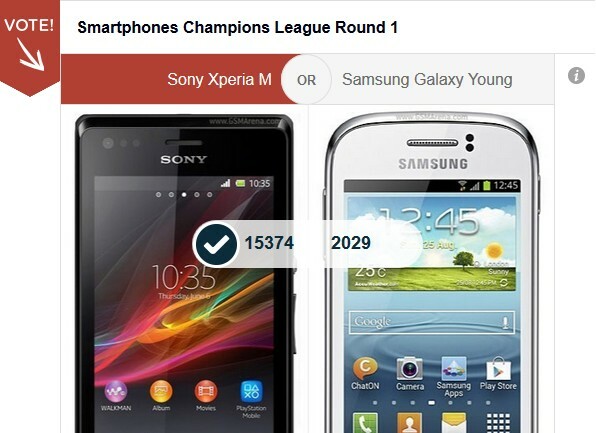 Finally, the Sony Xperia M smashed the Samsung Galaxy Young to improve Sony’s record to 1 in 2 today. Here’s the revised tournament bracket after the end of Round 1. 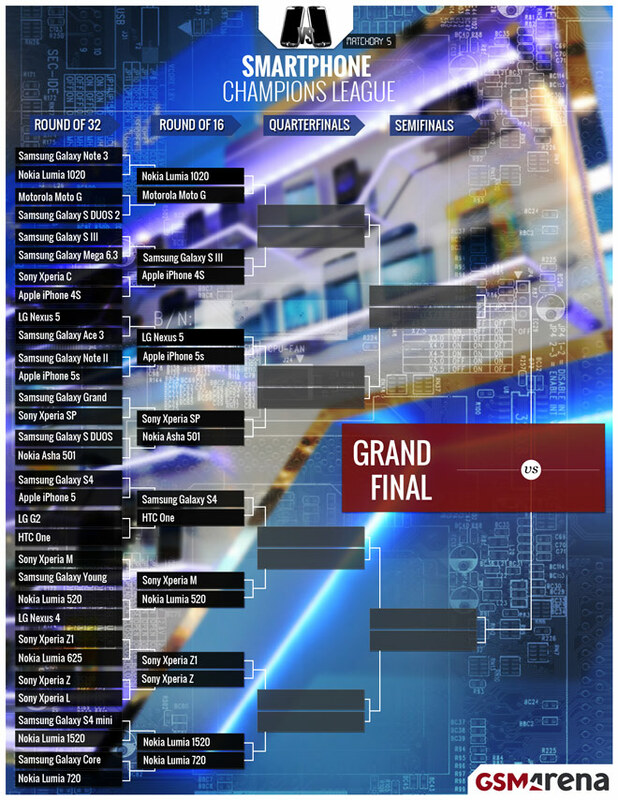 Obviously Samsung was the big loser here with only 2 of its 12 participants in the draw progressing to the second round. Nokia did far better winning all but one of its games and serving the biggest surprise of the opening round by beating the Galaxy Note 3. The solitary Nokia loss came at the hands of Sony, which also did splendidly – save for a last minute Xperia C loss the company had a perfect record. Elsewhere HTC One survived a stern first round test to make sure the Taiwanese get their representative in the Round of 16. The first games of the next round will be starting shortly, so stay tuned.